A collection of short films that capture the intimate side of film making through their informal style. These films focus on the relationship between internal and external space and meld rhythmic and formal elements with personal or candid dialogues. Arabesque for Kenneth Anger (1961) Dir. Marie Menken, 5 mins. Originally an abstract painter and collage artist, Menken uses hand-held camera techniques to create rhythmic patterns of light, color, form and texture, composing dynamic visual poems. Made as a thank-you to Kenneth Anger for helping Menken with her filming, Arabesque for Kenneth Anger is a study of a Moorish palace, the Alhambra in Granada. Ming Green (1966) Dir. Gregory Markopoulos 7 mins. An experimental portrait of Markopoulos’ New York apartment, edited entirely in camera, with black sections intercutting images of the interior and exterior to create a rhythmic flashing which serves to animate and bring to life the still shots of empty spaces. Leading Light (1975) Dir. John Smith, 10 mins. Shot in a single room over the period of a day, Leading Light shows the changes of light and shadow on objects in the room. Smith follows the movement of the light using jump cuts, creating a kind of stop-motion that animates the static interior. Reminiscences of a journey to Lithuania Dir. 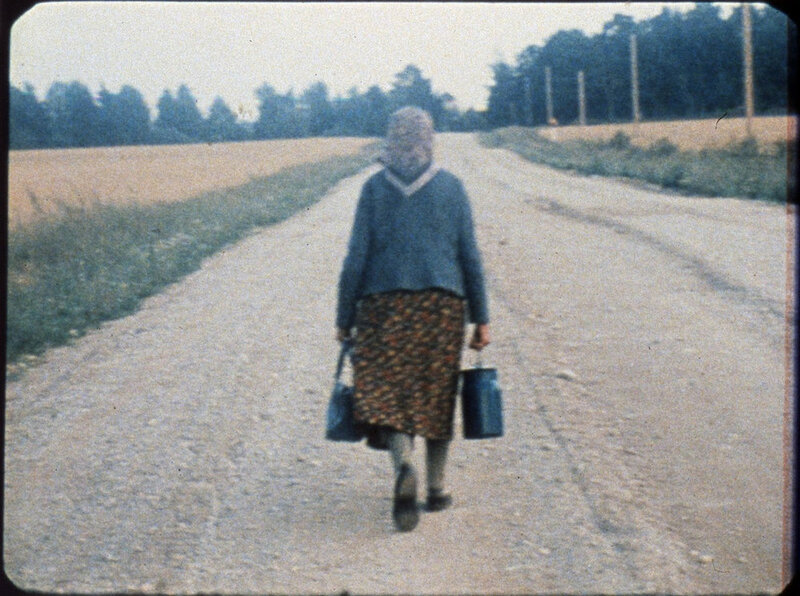 Jonas Mekas (1971-2), 82 mins Shot in three parts, Mekas’ film juxtaposes early footage of his life in Williamsburg as a new immigrant in the 50s with documentation of his return to his Lithuanian hometown ofSemeniskiai after 27 years of exile and a visit to Vienna, home of friend and fellow filmmaker Peter Kubelka. Bringing together these three strands in a series of diaristic episodes shot in his distinctive intimate style, this is a major work by one of the pioneers of post-WWII experimental film.